The Containership Alexandra was todays caller at Fairview cove. 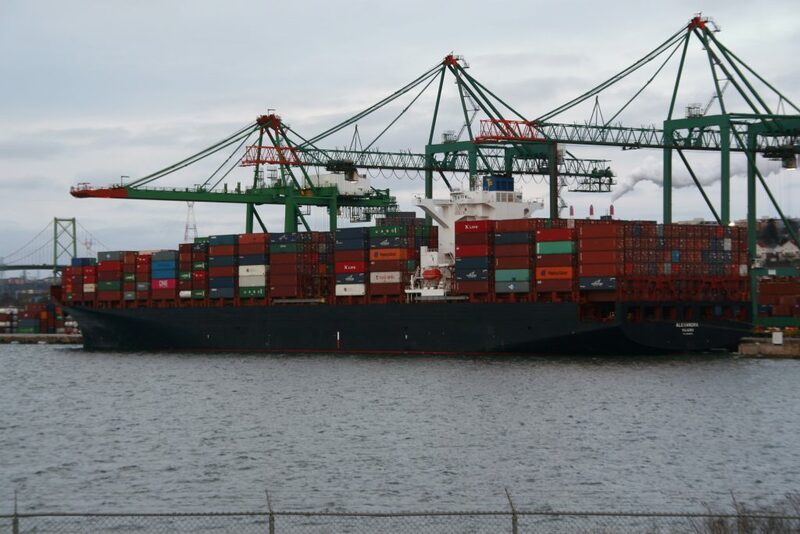 Built in 2012, she is rated at 6900 TEU, and is running on the Alliances EC5 service. This entry was posted in container ship on December 30, 2018 by Peter. 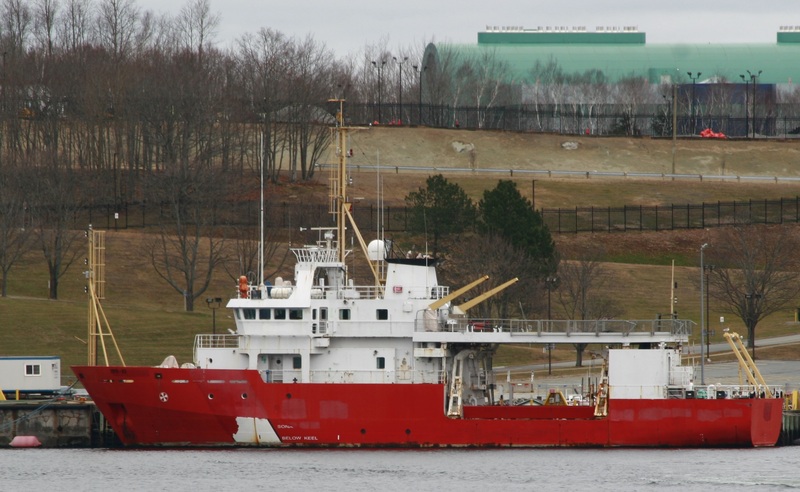 The former Coast Guard hydrographic survey ship Matthew has been sold for $279,000.00. The sale took place Oct 24. The buyer is currently unknown. The buyer has 50 days to complete vessel registration, we should see the ship registration transferred in the next week or so. Once registered, the new owner has 10 days to have the ship towed form the BIO Wharf. The ship is still registered to the Department of Fisheries and Oceans, however it was noticed that the ship is now listed for sale, presumably by the new owners, with TriNav Marine Brokerage of Yarmouth. TriNav is asking 2.4million for the ship – perhaps a bit optimistic given the feds couldn’t sell in 3 attempts with asking prices over a million dollars. UPDATES to Follow – when we find out who the owner is. This entry was posted in CCGS on December 30, 2018 by Peter. Hope everyone had a Merry Christmas and has a Happy New Year. 2019 will be the 11th year of us doing this. Anyway, Stay tuned for the Year in review, and Best photos posts. Sable Offshore Gas project will flow its last gas Monday, and the last phases of shutdown will take place, with the wells being capped. The Jack up Rig Noble Regina Allen has been working to cap the gas wells as the project is decommissioned. This entry was posted in Weekly News on December 29, 2018 by Peter. Qikiqtaaluk W – Dead ship move into port. the Woodward group products tanker Qikiqtaaluk W, has been anchored off Halifax for a number of days, and will be towed into port. The Tugs Atlantic Oak and Spitfire III will be conducting the move from the outer anchorages to Pier 31. The ship sailed from Montreal on the 23rd, bound for Savannah Ga. under the Marshal Islands flag. it arrived off Halifax on the afternoon of the 26th, and has remained there since. The Ship was built in Turkey in 2011, and is Ice Class A1. The Newfoundland Based Coastal Shipping is owned by the Woodward group, and spends the summer resupplying the arctic. in the winter, ships are laid up or charted out under foreign flags. Update: After raising the anchor, the ship actully sailed into the harbour, turned around at anchorage 1, and sailed out again. where it picked up the tugs that brought it back into harbour as a dead ship move. Track of the Qikiqtaaluk W. the squiggle to the right is where the ship anchored on arrival. This entry was posted in tanker, tugs on December 28, 2018 by Peter. 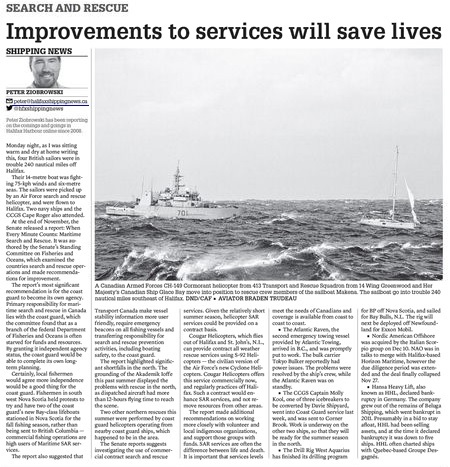 This week in the Herald, I talk about the Senate’s report into SAR services.You can read the report WHEN EVERY MINUTE COUNTS:Maritime Search and Rescue(PDF) or view the various summaries on the reports website. The CCGS is predicting this year will be bad for ice. the freeze up started 4 weeks earlier then the recent normal. We include the Ice Chart as part of the Port report. the Norwegian Navy Released footage from divers salvaging the sunken frigate. Also the navy is being sued by a Fish Farmer. 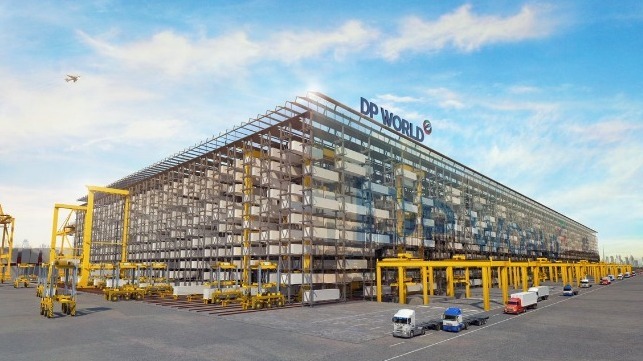 the terminal operator DP World plans to build a rack to store containers. the rack will enable more capacity and efficiency in the same space. Now – if we could get autoport to install car silos! 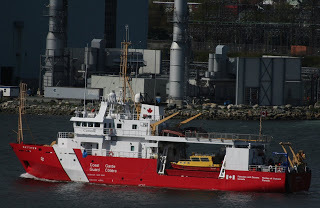 the CCGS put the former vidar Viking into service, and named the Ship CCGS Captain Molly Kool. Molly Kool was the first woman in North America to hold a Master Mariners license. its also a bitchin name for an icebreaker. Dec 19, 1945 – Cabinet in Ottawa approve the formation of the RCN’s, Canadian Naval Air Service (CANAS). 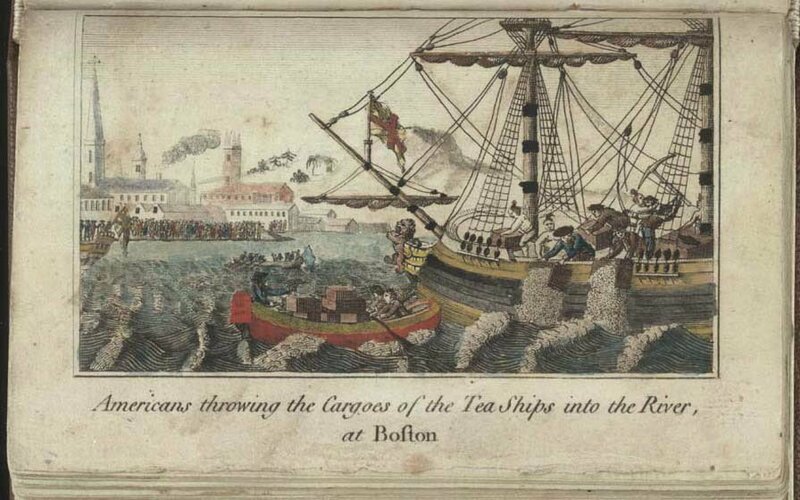 Dec 16, 1773 – The Boston Tea Party. Dec 14, 1938 – the schooner Theresa E. Connor is launched. This entry was posted in Weekly News on December 19, 2018 by Peter. This week in the Herald, I talk about the Senate’s report into SAR services. You can read the report WHEN EVERY MINUTE COUNTS:Maritime Search and Rescue(PDF) or view the various summaries on the reports website. 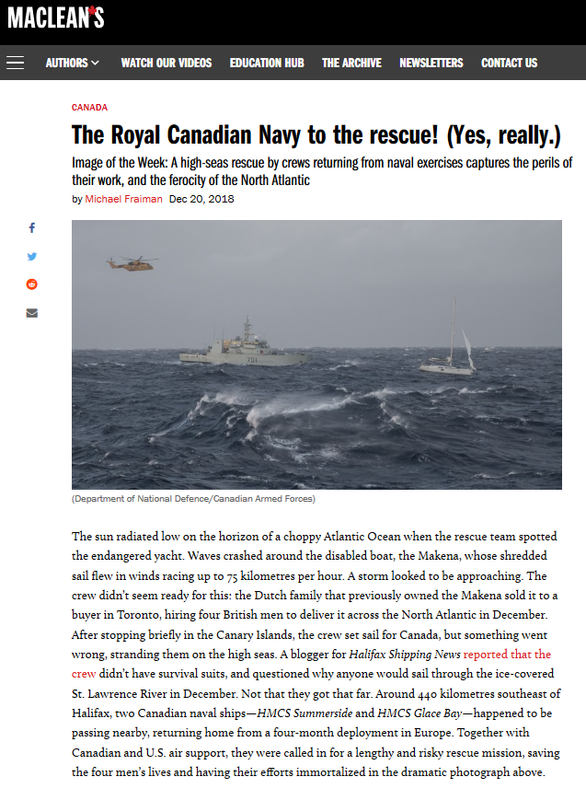 This entry was posted in CCGS, Herald Column on December 19, 2018 by Peter. 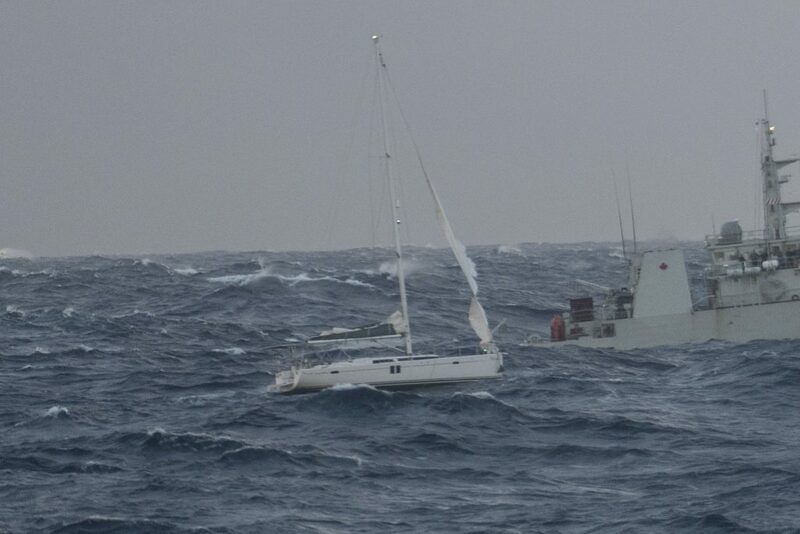 4 British men were rescued from a disabled sailboat last night, 250 nautical miles off Halifax. The 4 were hoisted off the sailboat, and flown to Halifax. The 45′ boat was in 21′ seas, with a 50knot wind (75KM/h) and looks to have a shredded Jib sail, and lost steering control. The vessel is the Makena and was bound for Toronto, via the Canary Islands with an apparently professional delivery crew aboard. The owner had recently purchased the boat. I have been told that the crew were under prepared, and lacked survival suits. Certainly others have questioned the wisdom of being in a sailboat, in the North Atlantic, In December. 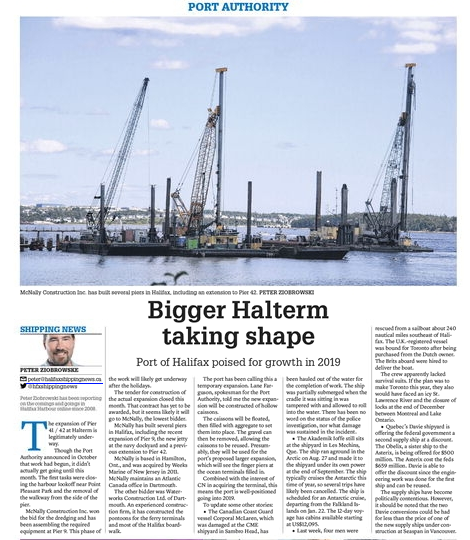 If the plan was to make Toronto, they would have encountered ice in the St. Lawrence river, and the pending closure of the locks above Montreal at the end of the Month. 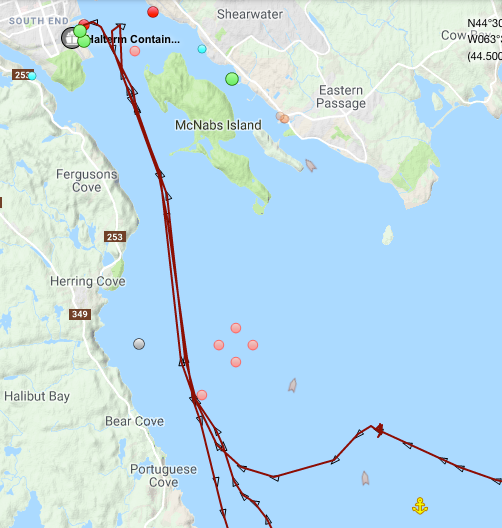 CCGS Cape Roger, HMCS Summerside, HMCS Glace Bay, A USCG Aircraft and a vessel of Opportunity all responded. This entry was posted in Uncategorized on December 18, 2018 by Peter. Snow is an ever present obstacle to railway operations. 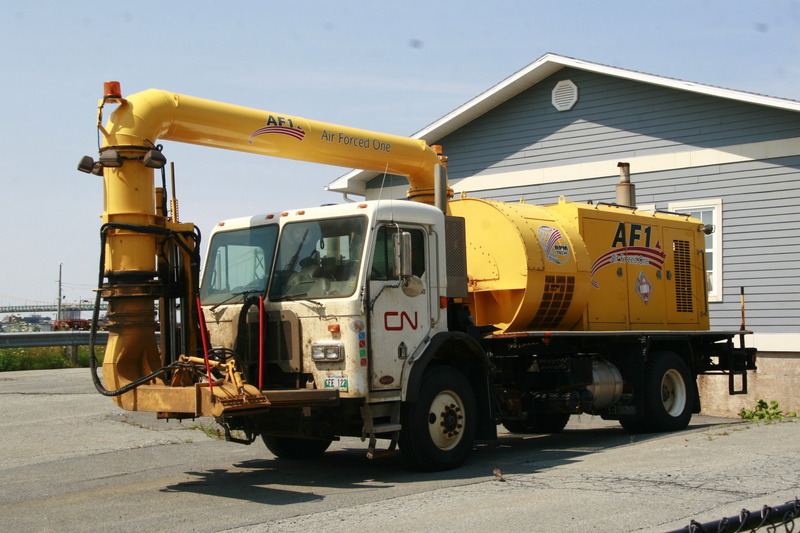 A Jet Blower is stationed in Halifax (and one in Dartmouth), and is used to clear snow from turnouts. 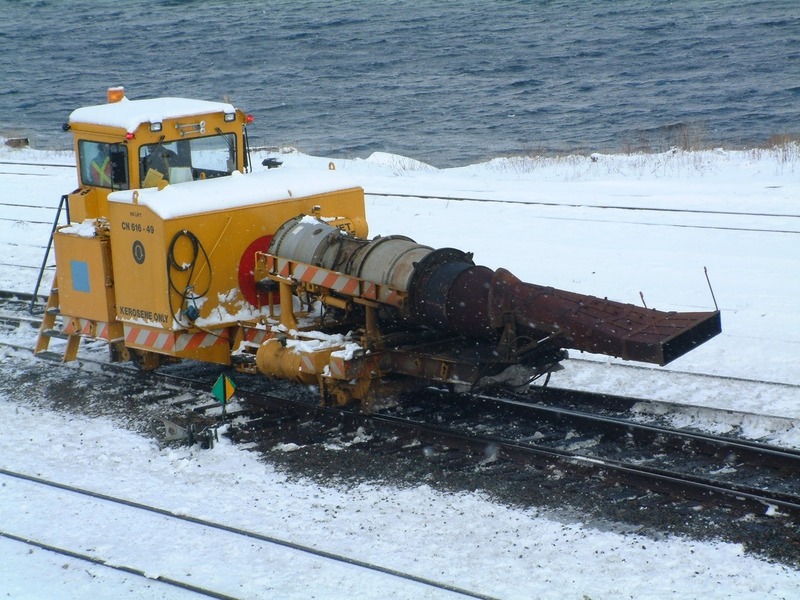 A jet engine is mounted on a self propelled unit, and has a controllable nozzle, directing the hot air used to melt and blow snow from turnouts. 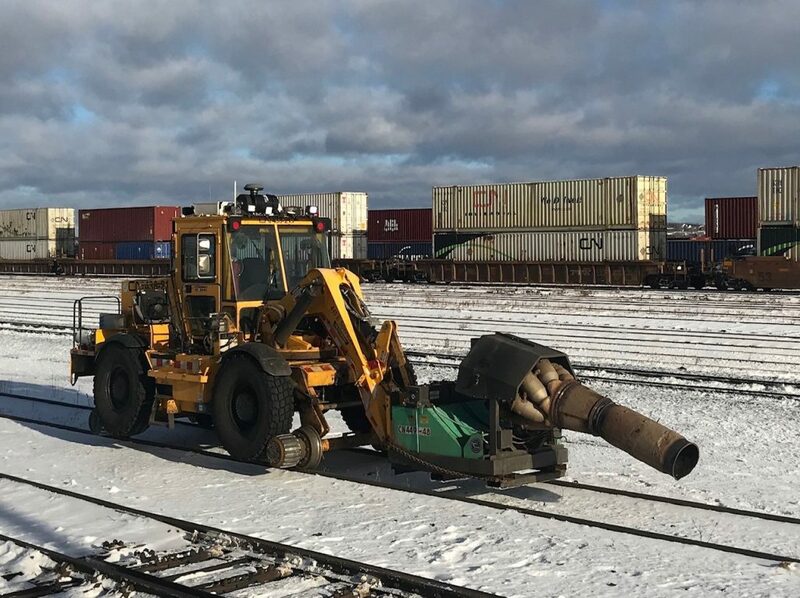 Hi-rail loader mounted Jet Blower. this truck mounted blower was used in Dartmouth for a time. I am slowly moving rail content from a tumblr I had to here. 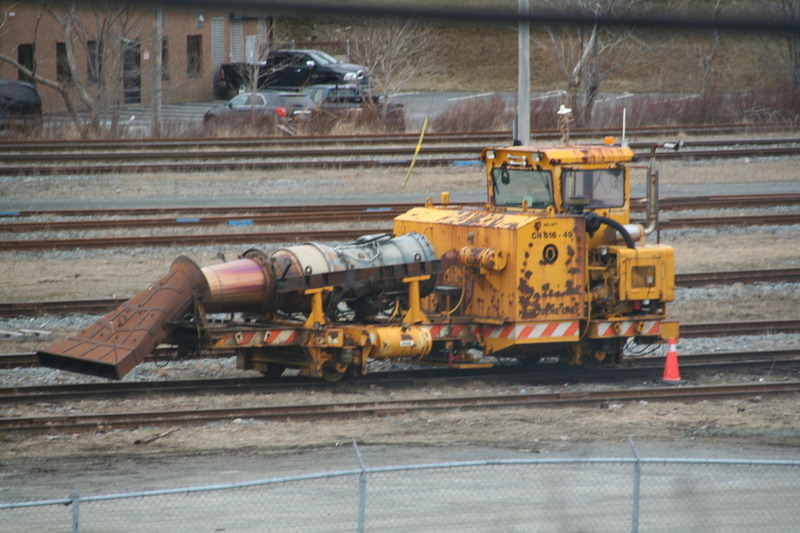 The train posts can be found at https://blog.halifaxshippingnews.ca/category/railway. Most will be placed in there historic dates, But some will be combined into new content like this. This entry was posted in Railway on December 14, 2018 by Peter.